Name of Plant: Forgot, but it has pretty bell-ish flowers. First Aid: HELP!! It’s getting browner and browner. 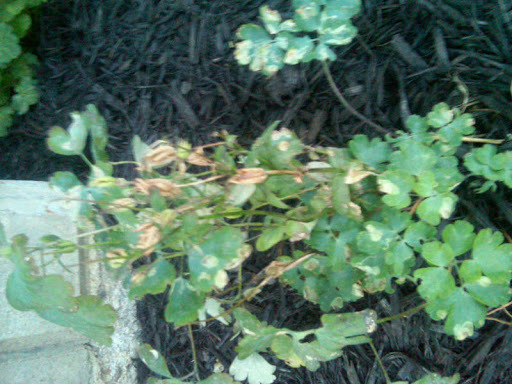 The blooms are trying to come out, but they turn brown before anything can happen. First Aid: It doesn’t grow as fast as ivy or a weed AND it’s pretty. There’s a little yellow flower you can see on the left. Name of Plant: Nope, I forgot this one too. 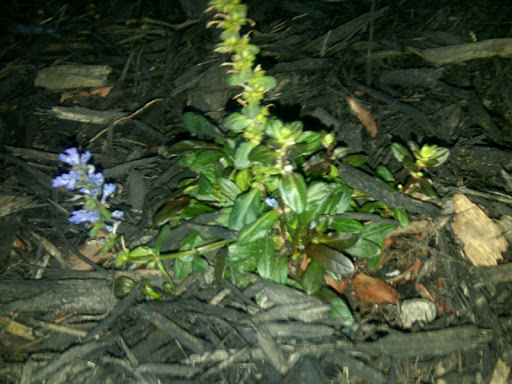 It’s a ground cover that has violet flowers on it. First Aid: It’s not growing very fast. But it’s an ivy, so I feel like it should be moving faster. I have 6 of them. None have died or browned or NOT bloomed as of yet. photo 1. I don't remember name either. It's definately not feeling well. I'll check with the nursery. Same thing for PHoto 2. You might have some kind of bug affecting it, but another possibility is when you water,is the water getting on it's leaves. 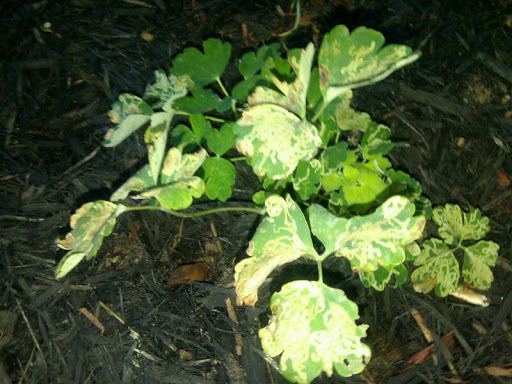 Some plants will not tolerate wet leaves, and they will yellow/brown spot like those two plants. Could also be too much of something in the soil.No clue what. Photo 3…it's some kind of sedum. and it's doing well. 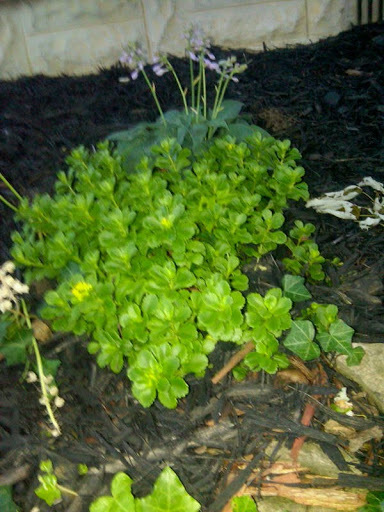 Is an excellent ground cover, likes moisture, tolerates heat well, comes in many different sizes and leaf shapes. Photo 4. Can't remember name either, but yes, it does grow slowly compared to other ground covers. It will grow faster once it's root system is firmly established. Looks ok though and flowering is a good sign.